Gifted Conference Planners, a non-profit corporation, is comprised of teachers, parents, and gifted adults who care deeply about the needs of the gifted. While we are running conferences on highly and profoundly gifted people at the moment, we also have explicit interests in supporting the Twice-Exceptional, Underachieving, Minority, and other underserved populations among the gifted. Further, we are examining how best to nurture the 'state of the art' of the field of gifted education. In addition to the Beyond IQ Conferences, discussed below, we have a couple other irons in the fire. We are bringing the biennial International Dabrowski Congress to the Boston area in August, 2020! There is also discussion of an invitational event centered around the works and theory of a specific practitioner. We expect to announce those prior to the May 2019 conference! Currently, Josh Shaine is the president of Gifted Conference Planners and leads the Beyond IQ Conferences. Jade Piltser and Andy Cowan coordinate the Young Adults program. Angie Larimer provides logistical support and calmness immediately prior to and during events. And Sherene Raisbeck grudgingly grants that she has provided some assistance and is likely to in the future! We are grateful to our former (and potentially future) staff members, including Anna Caveney who created the YA program and ran it for many years, Persis Thorndike who ran most of the Children's Programs for the past few years, and her predecessor Patti Andrews who ran them the first few years. Michelle Barmazel served as COO of Gifted Conference Planners and lead its operations for the 2011 and 2012 years. Rachel Giesbers assisted with web operations from time to time, from New Zealand! Galaxy, Isaac Richter, and Dan Breslau have each worked diligently on the website from time to time. Too many others to name have had a hand in one or another of our 25+ conferences. And Gennie Noyce helped with coordination at most of the first 15 conferences though she escaped to graduate school a few years ago. Her organizational support is deeply missed (but her twins are cute)! "The Achievement Foothills are gauged by Grades, SATs. CATs and the like. 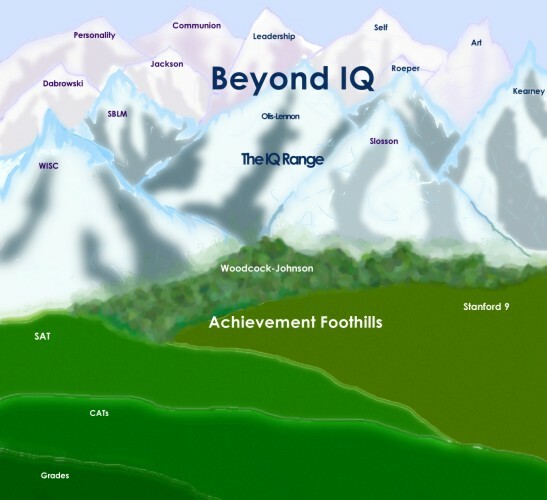 For those who aim to learn more, there are tools to understand IQ levels such as WISC, Stanford Binet and Woodcock Johnson. But those scores are not an end to itself. One needs to go Beyond the IQ scores to understand the individual as a whole. Beyond IQ: Reaching Further"
Planning is perpetually underway for the current conference schedule. We are always open to new input. Please let us know if you have ideas for or about future events, or if you would like to get involved.